How about some pretty sweet peas today? These are brand new from Power Poppy, called Sweet Pea Show. They’re just so pretty and frilly and, well, sweet! I printed this digi quite large so that it filled the card space. I pulled out a whole host of purple Copics to colour it up. For a girl who doesn’t usually reach for purples, it’s funny that two days in a row I’ve used purple! It’s framed up with adn MFT Scalloped Rectangles die, and then I used a sentiment from Power Poppy’s set, Party Time, embossed in white. This was placed over top of a strip of Scor Tape which I added glitter to to sparkle it up. A few purple faceted gems finish it off! Here’s the Copics I used below, a whole bunch of them! Don’t forget that you can still join in our Winter Blooms Challenge at Power Poppy this month. There are so many fabulous sets you can choose from (for ideas see here). 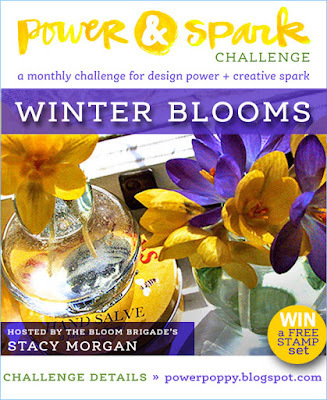 Add your creation and you could win a Power Poppy set of your choice! 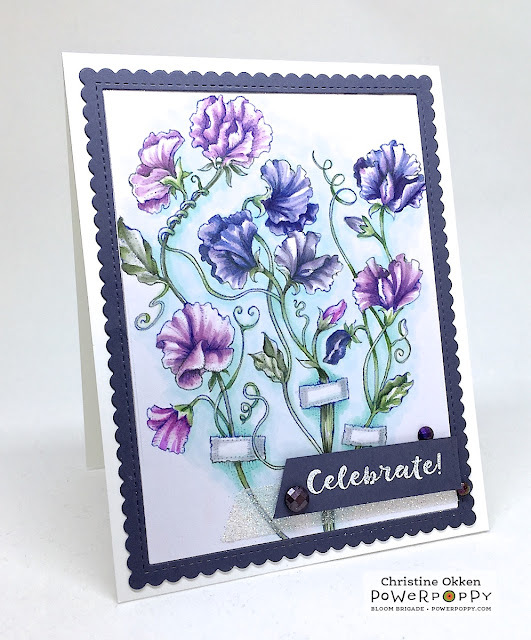 Now pop on over to the rest of the Bloom Brigade playing along today with some more beautiful inspiration! Stunning Christine! 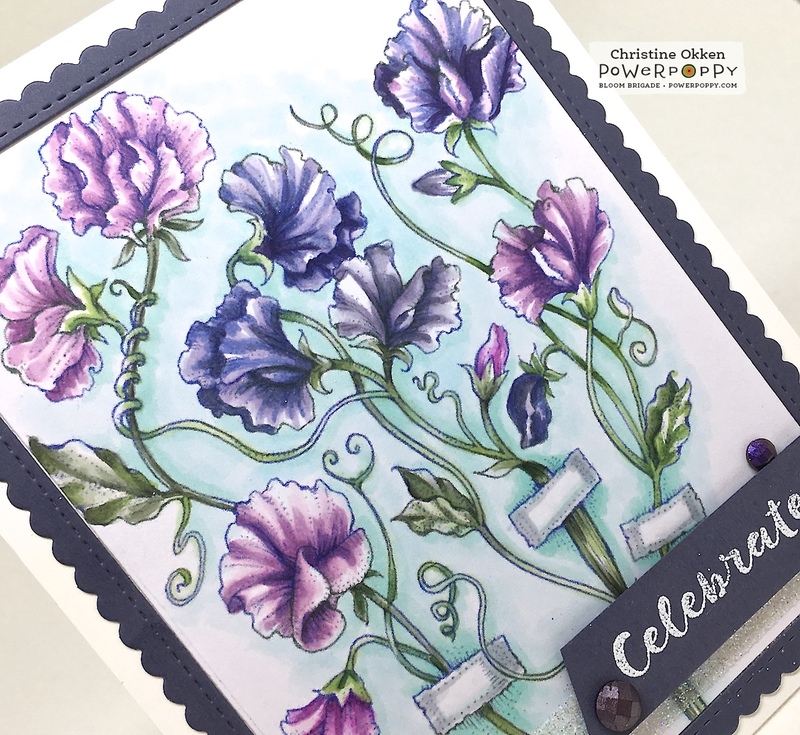 I just adore all the shades of purple - so pretty! Love this image - gorgeously coloured!! Love your mix of purples and beautiful coloring. Sometimes a girl's just got to use purple and, wow, that's a whole lot of purple Copics! Wow, Christine, what gorgeousness! Your colors are exquisite, and these sweet peas deserve "front row" with the beautiful scallop frame. And I love the sentiment with the sparkle beneath it! Stunning card, as always, sweet friend! Hugs! Beautiful Christine! These purples are rich and deep. Wonderful scallop frame and I like the sparkly tape under the sentiment tag too.